SOURCE's ultimate lightweight, flexible and durable water bottle. Folds flat when empty and stands upright and stable when full. Triple-layer taste-free film. Resistant to extreme temperature: from -20oC to +100oC. BPA and Phthalate free. Just stick this flexible foldable bottle in your pocket or jersey. Great alternative or backup to any backpacked hydration system. Also good to store hot soup, sterilize water and deep freeze (only 0.75 & 1 & 2 liter Liquitainer™ models). 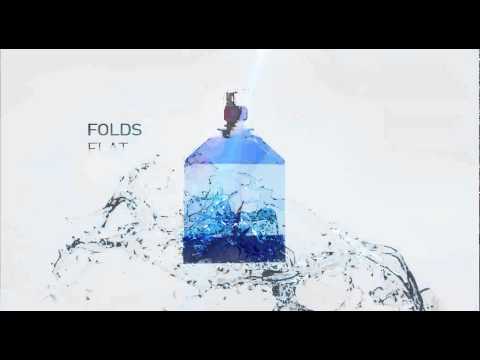 Folds flat when empty and stands upright and stable when full. Resistant to extreme temperature: from -20oC to +100oC. Cleaning recommendations for the Liquitainer is the same as with all our hydration systems: It is recommended to gently wash the Liquitainer after use, especially if it was filled with liquids other than water (such as sweetened beverages) or before prolonged storing. Wash the Liquitainer with soapy water or a natural sterilizer, such as lemon juice (chemical materials can damage the film and are NOT recommended). Rinse well. Dry Liquitainer completely before storing. My 1ltr is nothing short of brilliant! you fill it up and when you have drunk the water you can just roll it up and stick it in a pocket! I use mine with a "Convertube" place the bottle in my pack and stick the tube out and I have a hydration pack (Or a close resemblance!) Bought an extra cap for the "JUST IN CASE" moment, but I love mine, the onlt problem is I wish it were larger! :-) Thanks Source for another great product! Bought two 2-litre ones to have with us while going to outback Australia. No problem with leaks or other defects. Handy to stick in a day pack. By the time you walk for an hour or two, you're hydrated, and your pack is actually lighter! Great product. Fantastic customer service. Products works as advertised. I'm a fan of their hydration bladders as well, especially the militarized ones. Est-ce que le liquitainer est compatible avec le convertube? Et sinon, il y a-t-il un équivalent pour le convertube? bought a number of these to give away as christmas presents recently. i like the new caps but its not as durable as expected. a couple of them has already given way from repeated opening :( might wanna go back to the drawing block and improve the cap further. I travel a fair bit. Many of these places have few tourists as travel can be an adventure. Over the last two years I have purchased three Liquitainer bottles. One was a replacement after the container was punctured, another was a gift. In all three cases the caps failed that is they are all leaked along the base. My solution is to replace the caps with other caps which are readily available on other solid and single use water bottles. These replacement caps lack your pull up nozzle, which is also a less than adequate design, but at least they hold the seal and don't leak. My advice is to review your design and supply chain for the caps as they lower the otherwise commendable design. Hi, I just purchased a 2L liquitainer. I can't find the serial number to register for warranty. can the cap go in the dishwasher? I got the 2L liquitainer. The treaded screw cap leaks after i unscrew to wash the bottle. Where can i get the replacement? Bought 2, the 2 are leaking from the tap ! its a great product except the lid leaks which is not so great. I substituted a regular water bottle cap and it works fine. the cap designer should be shamed. Sean - the cap designer is ashamed and apologizes ;) We replaced it! Get in touch with Customer Service to get a replacement. Enjoy the outdoors with SOURCE! Will a replacement top fix this or is it just a waste of $$.. Good idea - poor execution. Please contact us via the contact form or warranty claim. A replacement cap should solve your problem. Ou puis je trouver le bouchon , le mien n'est plus etanche. Bought a 1L model, took it home, filled it with water, and it leaks round the top. The top will not tighten properly - it "clicks" and comes loose again. Hi Jezzah, we've updated the tops a while ago. Please get in touch with our Customer Service to get a replacement. Enjoy the outdoors with SOURCE! Great product. Can it go in the dish washer? Really like it. But still I have a question. May I fill the 1l collapsable bottle with sparkling liquids? Or is it recommended for still water or tea only? Can we use Aquatabs water purification tablets directly in the Liquitainer ? Theoretically you can use Aquatabs water purification tablets directly in the Liquitainer, however this was never tested by Source and we don't warranty it. Wait, I can boil water (or soup) in the Liquitainer? Really? That's awesome. Bonjour, très satisfait de ce produit. Je voudrais savoir où est localisé le dispositif de purification: dans le sac ou dans le bouchon? Le liquitainer est une bouteille réutilisable flexible. Il n'a pas de système de purification. Svp lire la fiche technique pour plus d'informations. comment prendre soin de lui...? Nous vous suggérons d'utiliser un stérilisateur naturelles (matières chimiques peuvent endommager le film et ne sont pas recommandées). Il suffit jus de citron, puis le laver avec de l'eau et laissez sécher à l'air libre. Assurez-vous qu'il est totalement sec avant de le ranger. Idem pour le bouchon. Same way you clean the reservoir... Use a natural sterilizer (chemical materials can damage the film and are NOT recommended). Simply wash your Liquitainer carefully with lemon juice, then wash it with water and dry it in the open air. Make sure it is totally dry before you store it. Please also downlaod and follow instructions in the Datasheet in the Care&Use Tab above.